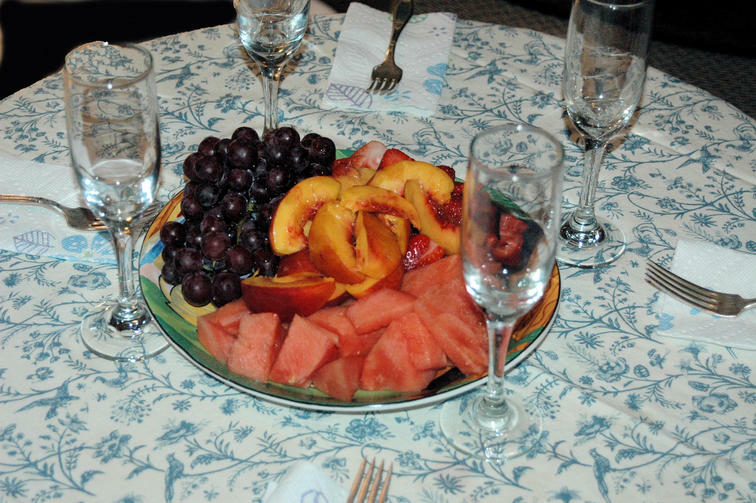 Both the fruit plate and tablecloth were made by my wife, Nirtan. I have passed your comments to her, and she says thanks. Fizgig, these fruits are all in season, right now, and as per your guess, the Brix count was off the charts! You mean she owns that stamp tile and printed it, or she just managed to find such a fabric and did sew it into a round table cloth?